Officials are crediting a 6-year-old law that makes ignition interlock devices a requirement for repeat drunk-driving offenders for the decrease of drunk-driving accidents in Massachusetts, according to the Boston Globe. Officials are looking to make the so-called Melanie’s Law even stronger, requiring it for all first-time offenders as well. Our Boston drunk-driving accident attorneys understand that the requirement of ignition interlocks for repeat offenders was mandated after Melanie Powell, 13, was killed by a drunk-driving repeat offender. Ignition interlock devices require a driver to test below a blood alcohol concentration of 0.08 through a breath test before the car will start. It will also ask for random breath tests throughout the drive to ensure that it wasn’t falsely started. The Registry of Motor Vehicles reports that there have been about 10,000 people who have these breath-test devices installed into their vehicles after a second drunk-driving conviction. Only about 120 of these people were convicted of a subsequent drunken-driving offense. According to federal officials, there has been a near 30 percent drop in the number of drunk-driving accidents in Massachusetts from 2005 to 2009. Enforcement officials credit this decrease to tougher enforcement efforts and safer vehicles. Officials from Mothers Against Drunk Driving say that they’ve always been an advocate of ignition interlock devices and are currently backing legislation to mandate these devices everywhere, according to Nashoba Publishing. Sen. Robert Hedlund, R-Weymouth, is pushing for a stricter Melanie’s Law. Currently, drivers only have to have the device once they’re deemed to be a habitual offender. Hedlund would like ignition interlock devices to be installed in all drivers’ cars after their first drunk-driving offense. He’s also pushing for a bill that would lift Massachusetts’ ban on discounted or free drinks in restaurants and bars. This amendment would bring back happy hour to the state. Happy hours and drink specials were banned in the state back in 1984 because of officials’ concerns about drunk driving. Hedlund says the proposal for a stricter Melanie’s Law and a revival of the happy hour has nothing to do with one another. He says that the removal of happy hour didn’t significantly cut down the number of drunk-driving accidents as Melanie’s Law did. 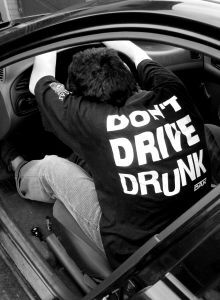 Our Boston drunk-driving accident attorneys ask you to be safe behind the wheel, especially as we head into 2012. The holiday season is typically when we experience a significant increase in the number of serious drunk-driving accidents. Drive safe, drive sober, drive safely and have a Happy New Year! If you or someone you love has been injured in a car accident involving a drunk driver in Massachusetts, contact the drunk-driving accident lawyers at The Law Offices of Jeffrey S. Glassman for a free and confidential consultation to discuss your rights. Call 877-617-5333.